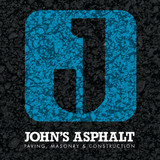 A family owned and operated full service paving company. Bill and Colleen Stanley Jr. and their four sons pride themselves on being a small company with a big name. American Pavement Specialists, LLC is known statewide for it’s quality, service and speed. Owner and operator Bill Stanley Jr. has over 30 years of experience in asphalt paving and experience is what separates American Pavement from the competition. When you're in the market for asphalt for your home, business or roadway you need to call American before you hire anyone else. You will be pleasantly surprised with their straight forward, honest approach and often very simple solutions to your asphalt needs. Their work consists of approx. 35% residential paving primarily in upper Fairfield county, 65% commercial and industrial paving available statewide. However once you establish yourself as a customer of American Pavement Specialists you will develop a one on one relationship and you or your friends will never need to search for another paving company. Comer Contracting, Inc. serves Southern New England with asphalt products and services to maintain and preserve municipal highways. In addition we provide commercial and residential pavement and surface treatments throughout the Farmington Valley. We take personal pride in the quality of our workmanship and products and strive for complete satisfaction from our customers. Comer Contracting has been on the leading edge, working with the most advanced equipment available; Computerized asphalt and stone spreaders, as well as modern paving equipment, which provide economical and environmentally conscientious highway maintenance program for municipalities. We are the best paving contractor in the Harwinton area! Does your driveway have unsightly cracks or breaks? Have the outdoor elements, traffic or oil spills damaged your parking lot? Webster & Son Paving LLC prides itself on satisfying customers with quality paving and seal coating services! Along with the latest equipment and a highly skilled crew, we’re able to fulfill any request quickly, neatly and competently. Whether you need some patchwork, line striping or seal coating, rely on our expertise! We also offer competitive rates! Webster & Son Paving LLC is a leader in the paving and seal coating industry. Trust us to revitalize the look of your pavement! In addition to our experience and knowledge, there are many other reasons why we stand apart from the competition. We employ a professionally-trained crew and utilize state-of-the-art equipment. We use only the best materials and proven techniques to make your parking lot or driveway safe and good looking. P & M Asphalt Services Inc is a leading asphalt specialist in the Sutton area. Reach out today for your paving, driveway, and excavating needs! We started in business in 1975 as a small landscaping company mowing lawns, tree work, and clean ups. Within three years we expanded our customer base from Westport to Darien, and started to incorporate driveway work into our services. In 1980 we moved into driveway work as a full time focus and started to grow. By 1991 we were paving driveways to highways, and in 1995, added excavating to our menu of services. In 1997 we added Street Print, an imprinted and colored asphalt. We have found that we get more enjoyment focusing on residential, commercial and small municipal jobs—making our customer’s dreams with their properties come true. Specializing in both personal service and quality construction for all our customers, every job gets my personal attention. We would like you to be our next reference. New England Blacktop, Inc. is a provider of asphalt paving services in Connecticut. We have been in business since 1973, serving the central Connecticut and surrounding areas with high quality paving at reasonable prices. We have established ourselves as a leader in premium asphalt construction. 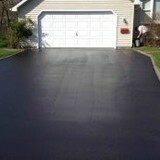 New England Blacktop can handle all of your paving needs; let us show you our long list of satisfied customers. We pave large parking lots, subdivisions, condominium complexes or your own driveway. Every paving project is important to us; we are specialists with a strong desire to please. From installation to repair, Windsor, CT driveway contractors are responsible for a variety of planning, installation, construction and driveway maintenance services. Driveway installation. Before work begins on a new or replacement driveway, your professional should create plans based on your needs and material choices, as well as your property grade, soil and other Connecticut landscape factors. When it comes to the actual driveway construction, driveway contractors are responsible for preparing the site, obtaining the necessary materials, making sure a strong foundation is laid, operating equipment and heavy machinery, and cleaning up the site afterwards. Driveway materials. While most driveway contractors in Windsor, CT primarily work with asphalt, they are also experts on the wide range of available driveway materials. If you are looking for something different than a standard asphalt driveway, your pro can help you select driveway pavers or customize a brick driveway design. A driveway installation and maintenance professional may work closely with a Windsor, CT builder, landscape professional or various manufacturers and suppliers. 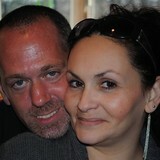 Find a Windsor, CT driveway installation and maintenance professional on Houzz. 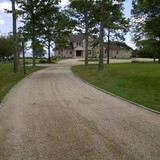 Narrow your search in the Professionals section of the website to Windsor, CT driveway installation and maintenance. You may also look through Windsor, CT photos to find examples of driveways that you like, then contact the professional or contractor who worked on them.